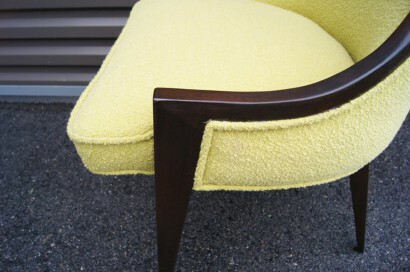 Harvey Probber designed his gondola chair, model no. 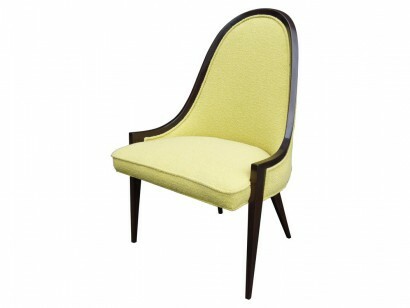 1053, with an elegantly curved high-back frame in deep mahogany. 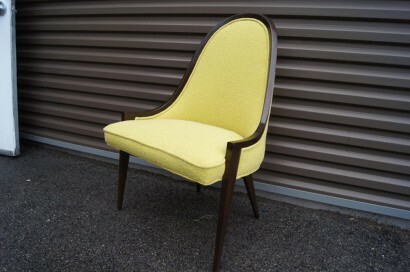 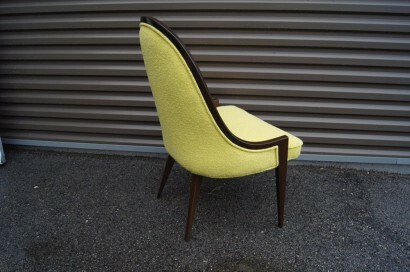 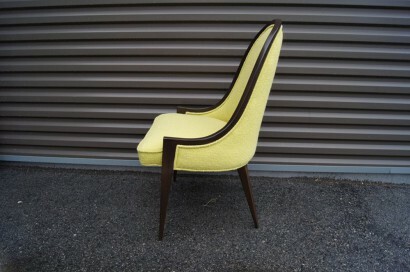 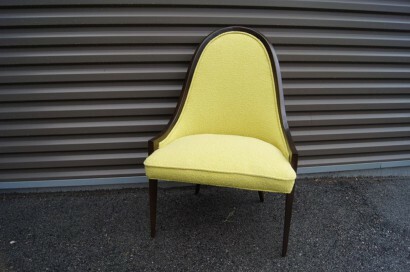 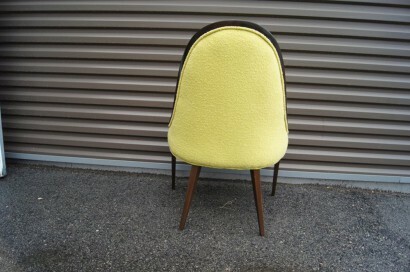 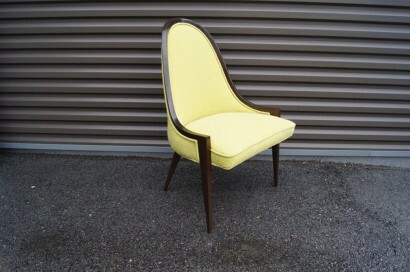 The chair has been newly upholstered in Knoll’s Classic Bouclé in an eye-catching chartreuse.